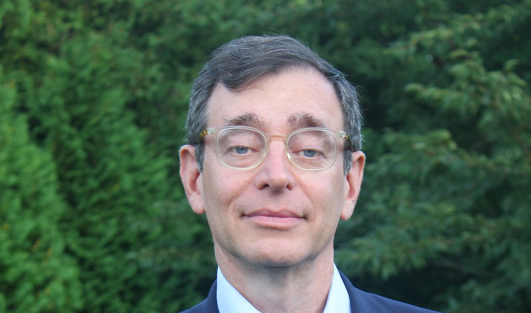 AFHU spoke with Hebrew University of Jerusalem alumnus Seth M. Siegel. Seth is a businessman, activist and writer. His essays have appeared in The New York Times, The Wall Street Journal, the Los Angeles Times and other publications around the world on business, political and cultural issues. He is a member of the Council on Foreign Relations. His book Let There Be Water: Israel’s Solution for a Water-Starved World came out in September 2015. All proceeds from the book will be donated to charity. Why did you study at Hebrew University? I worked my way through Cornell and by the end of my junior year I saved extra money. I thought it’d be great to take some time off before starting to work. I decided on Italy. While planning to go to Florence, the Yom Kippur War broke out. It really awakened my sense of Jewish vulnerability and history. I craved to understand my origins and learn Israel’s history. Tel Aviv University and Hebrew University both accepted me, but HU provided a scholarship, so I went there. What did you study at HU? I enrolled in the international relations master’s program and Ulpan. I loved the Ulpan and thought it was fantastic. I also made some wonderful friends. What was the best part of HU? Well, I met my wife at HU but we didn’t start dating until years later. We met again at a New Year’s Day brunch her HU roommate hosted and fell in love. My further connection is I have a daughter who also studied at HU and now lives in Israel. How did being in Israel affect you? Israel is one of the most exciting countries and has a great deal to offer. HU is a seminal institution that helped shape and create what Israeli society is today. It would be hard to think of a single important Israeli of a certain generation who didn’t spend time at Hebrew University. To the extent that Israel is a center of innovation, a place of extraordinary intellectualism, a country of educated, well-read people, and a well-planned society, then you have to give a lot of credit to one of the primary institutions that made that possible. HU’s DNA can be found in many, if not all, other Israeli educational institutions. Israel, a country that I love, a society that I revere, a value system that I think is extraordinary, has been profoundly affected by the birth and the creation of HU. We should bless those extraordinarily visionary people who laid that cornerstone. How did you become interested in water issues? I’ve been interested in water most of my life. Even as a grad student at HU, I took a class called the ‘Water of the Middle East.’ Following HU, I was involved in a program with the Jewish Agency. I worked with a professor from Haifa University and remember discussing Israeli immigration in conjunction to the country’s water issues. After college, I continued thinking about water as a resource. What prompted you to write a book about water issues? I attended a seminar on the impending global water crisis and became very concerned. I started researching and realized that there was a very big Israel story. Weeks later I was still researching and decided to buy a book, but I couldn’t find one. [laughing] So, I wrote the book that I would have wanted to read. Why are some regions doing something about water scarcity and others aren’t? Frequently, when there’s a scarcity issue, people get motivated. Then it rains and people lose motivation, which I fear for California. I’m hoping to be part of a movement that changes how people think about water. Can water be a pathway to peace? Yes. We see this in countries that historically did not have good relations with Israel. China and India now have a multilayered trade relationship with Israel, and water is a major reason. As regards the Palestinians, as I write in my book, Israeli technology became so sophisticated that now the water problem between them is either solvable or solved. Therefore, the water relationships between Israelis and Palestinians can create conditions (if the parties want) for dialogue. Is nationalizing physical resources like water is a model for others to follow? It’s going to be hard for other regions to adopt the exact Israeli model. However, everyone would benefit if they would nationalize their water supply. More generally, everybody would benefit from emulating Israel’s water policies. An example is Carlsbad, California, which is building the largest desalination plant in the Western hemisphere. It took 10 years from planning to breaking ground because of litigation. We need to be mindful of environmental impact, but this process became overly complicated. How is water local and global? It’s local because if there’s a drought in California, it does not affect water in New York. However, a drought in California can drive up food prices everywhere. It’s also national because we can learn from another city’s experiences and it’s going to affect regulation, legal structure and governance. But we need citizen activists to make this happen. It’s also global because of trade. The changing water profile of countries around the world will affect the cost of commodities, food prices and global stability. If there is a water crisis somewhere, there’s going to be mass migrations, which is going to be destabilizing. What can everybody can do for water conservation? The most important thing that we all can do besides stop wasting water is to set a price for water. Brilliantly, Israel set a price for water. In most of America, water fees are paid into a general budget that the mayor can divert for schools, hospitals and more. In Israel, 100% of the water fees are used only for water infrastructure, technology and running the system. The extent of water leaks is enormous. In 1980, New York City discovered a leak that was losing 35 million gallons every day. The city just started construction on the repair of the leak, and it won’t be done until 2021. In the U.S., most of our cities lose a third or more of our water to failed infrastructure. It’s imperative we reduce our loss of water. We need systems to reclaim and reduce water usage. Israel uses 86% of its wastewater for irrigation which should be the norm everywhere. With technology and innovation, there will be changes, but we can live a life similar to one we live right now. Did you enjoy the writing process? I loved the research and writing of this book. My two favorite modes in life are learning and teaching. To merge these two things together was so satisfying; to develop a mastery of a topic that touches the lives of billions of people both affluent and poor. What’s your advice to students interested in environmental or water conservation? Twenty-five years from now our lives will be different. There’s going to be opportunities for engineers, people with environmental backgrounds and for public policy majors. Water is going to be one of the great subjects of conversation over the next couple of decades.